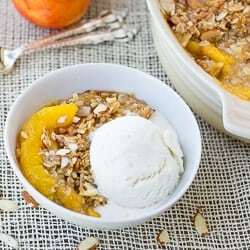 This is my all-time favorite summer dessert! This is not a healthy dessert. That is something I am definitely aware of. But sometimes you just want to indulge a little on a special occasion! This trifle has fresh berries, spongy angel food cake, whipped cream, and sweet cream cheese with a hint of almond. If you’ve been turned off by trifle with instant vanilla pudding and frozen berries in the past, give this one a try! I recently made this for a baby shower for one of my best friends. Everyone always loves it! The best part is this is a make-ahead dessert. In fact, the longer it sits the better. For this reason I love making it for parties and entertaining. It is also such a pretty dessert! 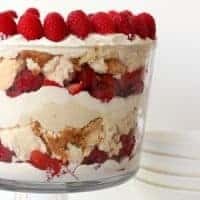 One of my major motivations to create the perfect gluten-free angel food cake was so I could make this trifle again! 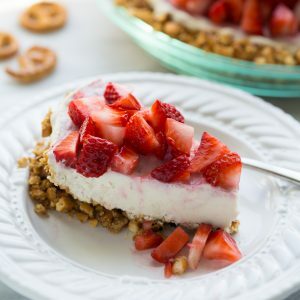 Allow cream cheese to soften at room temperature and place in a mixing bowl. Add powdered sugar, almond extract, and vanilla and blend until smooth. Whip up the heavy cream, powdered sugar, and vanilla until it forms stiff peaks. 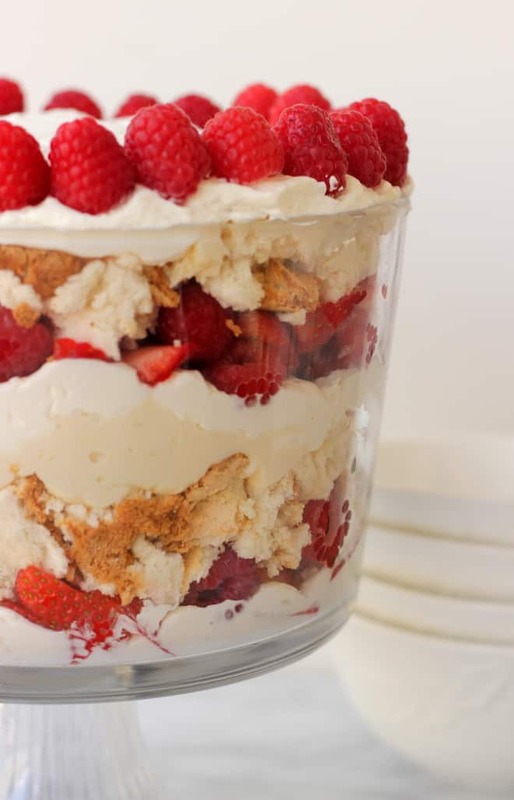 Assemble the trifle by placing a layer or broken up angel food cake in the bottom, followed by a spread of the cream cheese mixture. Top the cream cheese mixture with berries and then whipped cream on top of the berries. 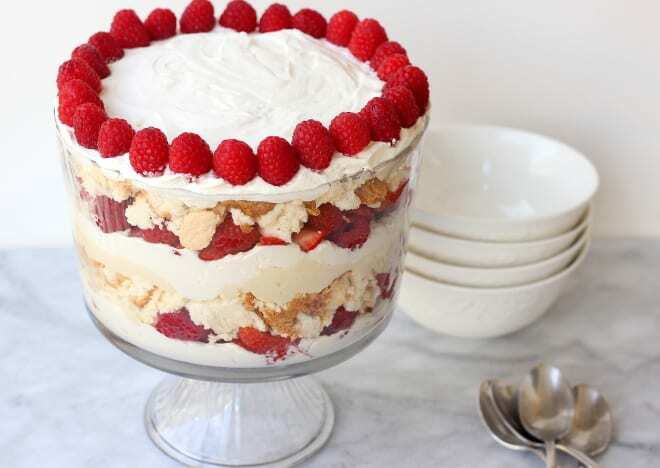 Repeat the layers again and finish with whipped cream on the top and decorate with raspberries. Let sit in the fridge for at least 2 hours! 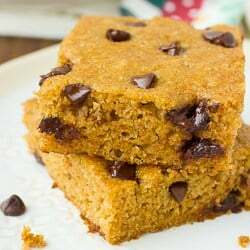 (The longer it sits the better – preferably make it the night before). Serve cold by scooping into dessert glasses. Enjoy! I’m going to a BBQ next weekend and thought this would be great to bring. Would it hold up okay outside for a few hours? I think it would hold up well! I hope you like it! I’m actually nervous to put powdered sugar into the whip cream since there already powdered sugar in the cream cheese. Will that not be too sweet? Can I go without adding the sugar to the whip cream?